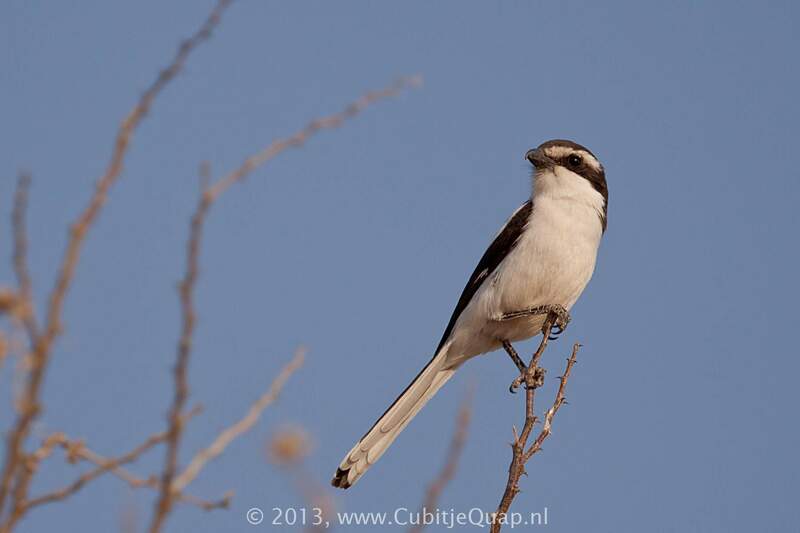 One of the most common shrikes in the region, hunting from exposed perches along roadsides and in suburbia. 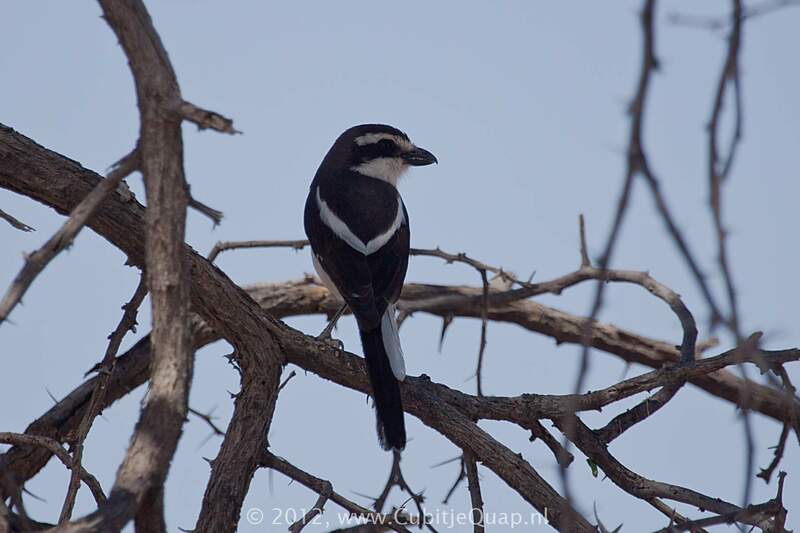 Back-Backed Puffback and boubous are also black and white but are shy, skulking birds. 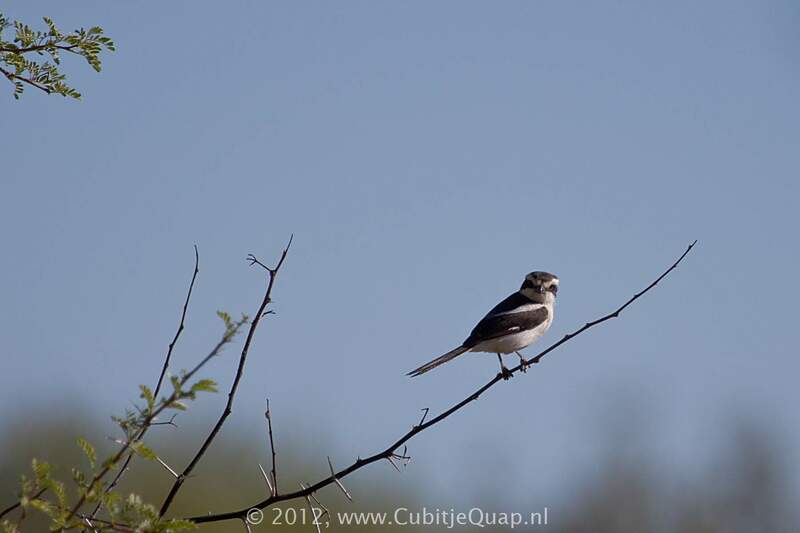 Shorter-tailed Fiscal Flycatcher male is similar but lacks the white shoulder patches and white outer tail feathers. 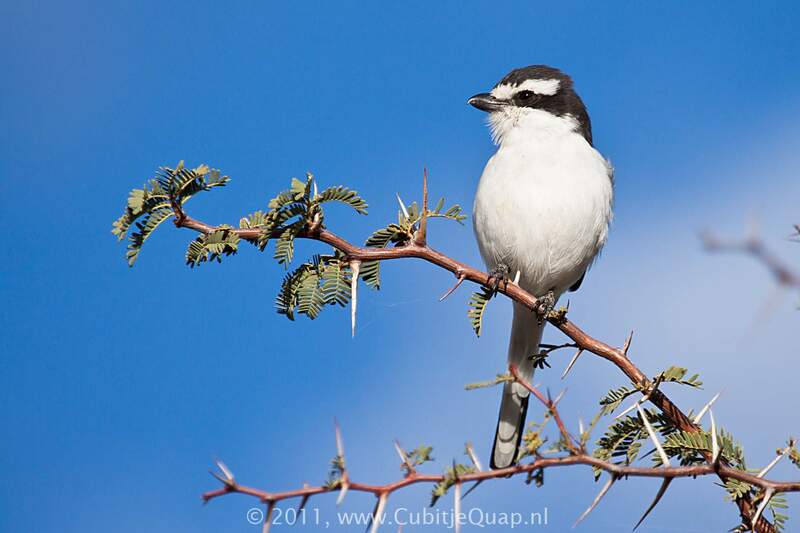 Races of the arid west have a conspicuous white eyebrow stripe and are sometimes considered a different species, Latakoo Fiscal. Male is black above and white below, with prominent white shoulder patches. Female resembles male but shows a rufous patch on the flanks. juvenile is greyish brown, with grey cresent barrings below. Virtually every habitat except sense forest. 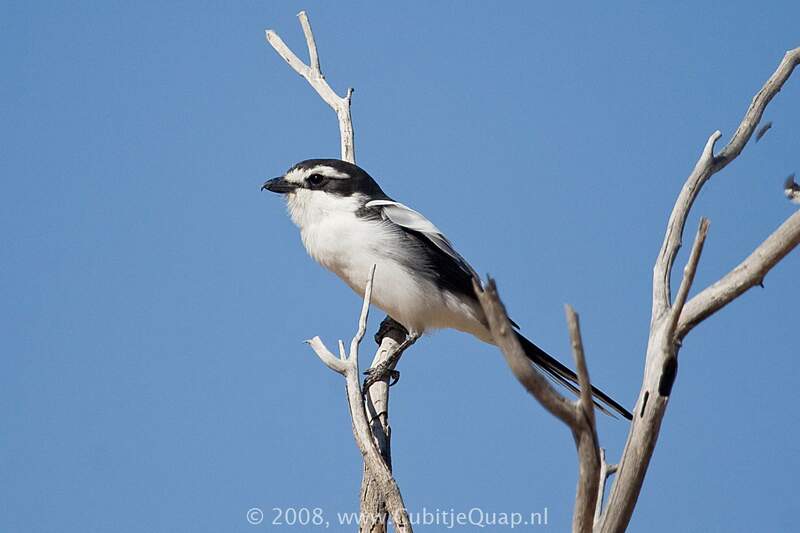 The common fiscal is also known as 'butcher bird', due to its habit of impaling its prey, such as a scorpion or a small gecko on a thorn for later consumption. It mostly hunts insects and small rodents from an exposed perch. A harsh grating; a melodious, whistled song jumbled with harsher notes; and mimicry of other birds' calls.